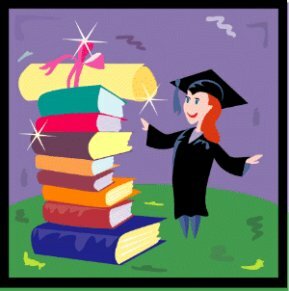 This ESL university vocabulary page will help you if you need to go and study in another country. Many people chose to go to university in another country if they get the chance, and many international courses will be taught in English; therefore, it is vital for you to know English university vocabulary. This page is divided into two main parts. In the first there is the vocabulary list of words about university, and in the second part there are exercises and tasks to test how well you know the ESL university vocabulary. 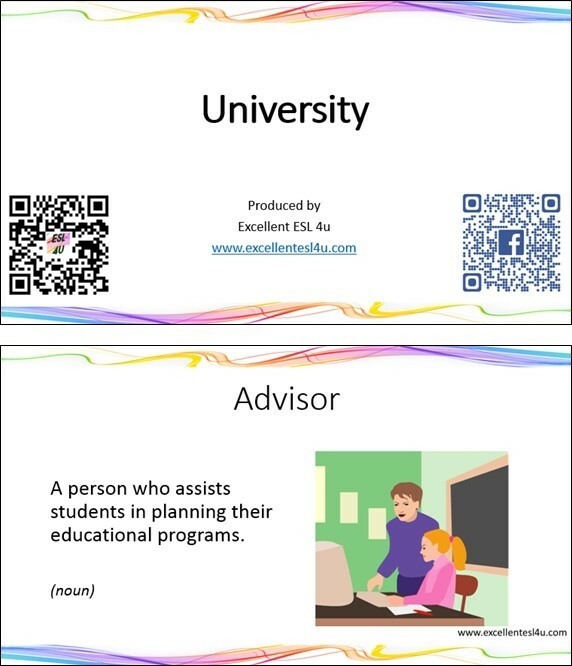 The vocabulary list has a definition of each ESL university vocabulary item as well as its part of speech. Then after the list there is a set of flashcards that you can download and use anywhere; these have the words, their definitions and many pictures to help you understand the meaning. In addition, the vocabulary has been recorded being spoken by a native English speaker so you can hear the correct pronunciation. Identify the correct word that matches a definition. Identify the correct word that matches a picture. The following is a list of vocabulary items all about universities and being a student at a university. The list has a definition for each word as well as its part of speech. You should try to learn the words now and also use the list as a reference source in the future. After the ESL university vocabulary word list there are some flashcards of the vocabulary for you to download and then a recording so you can hear the correct pronunciation. You can download the following ESL university vocabulary flashcards to use when you are offline. Just click the following picture or the link that follows it and you can save the cards to your commuter. This section has two recordings of the ESL university vocabulary being spoken by a native English speaker. The first one is a simple recording that you can listen to; while, the second one is a video in which you can see the flashcards at the same time as the vocabulary item is spoken. Listen to them as many times as you need to so you can learn the correct pronunciation for the ESL university vocabulary. 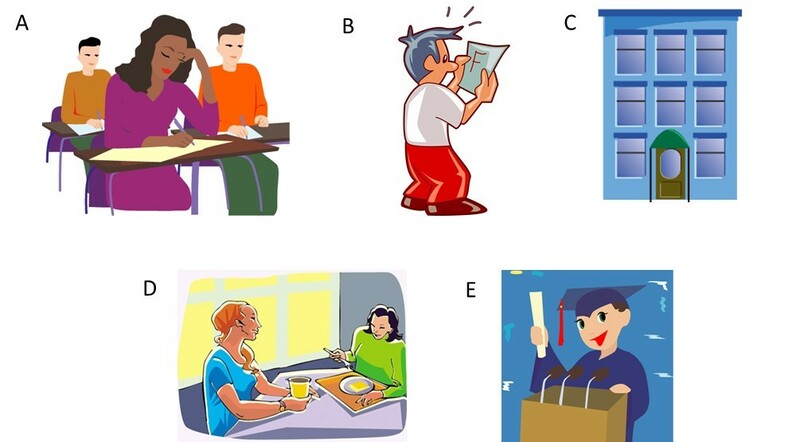 In the first ESL university vocabulary exercise you need to decide which of the options (A-D) in each of the five question has the correct definition to match the word given. When you have finished you can use the get score button at the end of the questions to see how well you did. Choose the correct definition for the university vocabulary in this quiz. 1) What is the definition of Community college? A) A college that offers two-year programs for students from the local community (American English). B) The first degree for people studying at a university. C) The subjects that are included in a course of study in a college or university. D) A person who assists students in planning their educational programs. 2) What is the definition of Dormitory? A) A particular kind of teaching or training that aims to develop knowledge and skills. B) A large room in a university building where people can eat together. C) A large building at campus where students live (American English). D) A formal test of a student’s knowledge or skill in a particular subject. 3) What is the definition of Grant? A) A first-year student at school, college or university (American English). B) A university teacher who ranks below assistant professor and teaches a limited number of classes (American English). C) The main subject that a student studies at college or university. D) An amount of money given by the government to allow a student to follow a course. 4) What is the definition of Prerequisite? A) A class that must be taken before another class. 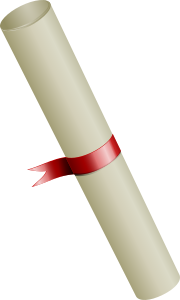 B) A course of study that you have completed or an exam that you have passed. C) The process of matriculating. D) To succeed in an exam or test. 5) What is the definition of Scholarship? A) A careful and detailed study of a subject in order to discover new facts or test new ideas. B) One of the two periods into which a year is divided at university. C) An amount of money that a student gets from an individual or organization to help pay for his or her education. D) A social organization for female university students (American English). Now, in the second ESL university vocabulary exercise each question gives you a definition and you need to decide which of the options (A-D) in each of the five questions goes with the given definition. Again you can use the get score button to see how many you got correct. 1) What is the meaning of the following definition: The main team that represents a college or university in sports competitions (American English)? 2) What is the meaning of the following definition: A two-week holiday from college or university in the spring (American English)? 3) What is the meaning of the following definition: A university student who has completed a first degree and is studying for a more advanced degree? 4) What is the meaning of the following definition: A student who is still in his or her first term at a university (British English)? 5) What is the meaning of the following definition: A high-rank official in a university who is in charge of a department or group of departments? For the last ESL university vocabulary exercise you need to look at the following pictures and decide which of the options (A-D) in each question matches the indicated picture. Then when you have finished you can use the get score button to see how well you did.